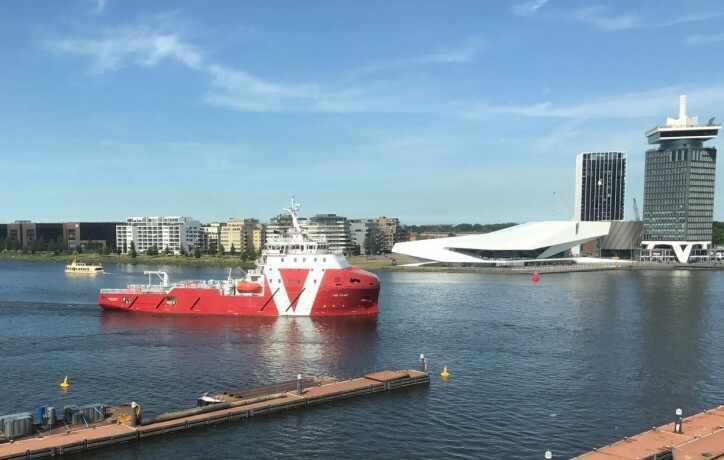 VROON announced the arrival of VOS Start in Amsterdam, Company’s first subsea-support walk-to-work vessel. The vessel is now at Damen Shiprepair, where she will be mobilised with a motion-compensated gangway system and an active heave-compensated crane. VOS Start has been purpose built to support offshore operations in today’s Renewable industry and walk-to-work projects in the Oil & Gas industry. Offshore wind parks consist of as many as 100 individual wind turbines, connected by infield cables to transformer stations. The construction and commissioning of an offshore wind park requires many visits to each individual turbine. Such operations demand a vessel like VOS Start: offering accommodation for the client teams, office space for engineering and project managers, a warehouse to store materials and tools and an on-board workshop to prepare for day-to-day tasks. Most important is an access system that guarantees safe transfer for the teams and their material to and from the wind turbines. In addition to the many logistic and technical requirements, excellent WI-FI connection is also essential. To ensure optimum client and crew comfort outside working hours, VOS Start is equipped with a cinema and a gym. Clients may spend a minimum of 14 days on board, meaning that multimedia and hotel standards onshore have become the norm for offshore operations. VOS Start will shortly be delivered to her first charterer, MHI Vestas Offshore Wind, for the supply of offshore logistics support, accommodation and walk-to-work services during construction of the Walney Extension Offshore Wind Farm. The Wind Farm is located in the Irish Sea, with installations of the turbines and commissioning scheduled to commence in summer 2017. Sister vessel, VOS Stone, will be delivered to Vroon by Fujian Southeast Shipbuilding in China in the near future. 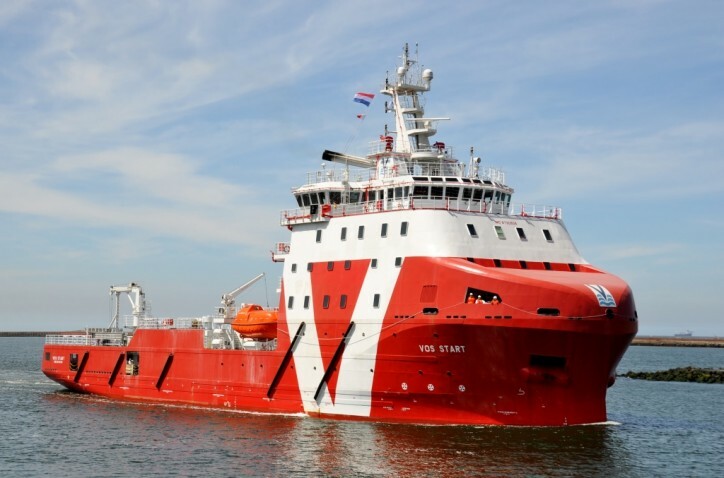 In addition to the support the Company provides for offshore wind farms, the VOS support vessels are also a perfect fit to assist in maintenance and operations projects in the offshore Oil & Gas industry. Nowadays many platforms are unmanned. Operating these platforms without the need for helicopter flights allows for substantial cost savings. Another VOS vessel, VOS Prime, a multirole vessel is currently being mobilised with an access system. This vessel type is equipped with a large deck space, underdeck cargo systems and can carry up to 40 client personnel. VOS Prime will commence a charter later this month, supporting the planned maintenance campaign for a transformer station in the Dutch Sector.